An anthropologist studying the habits and customs of an African tribe found himself playing a little game with them. 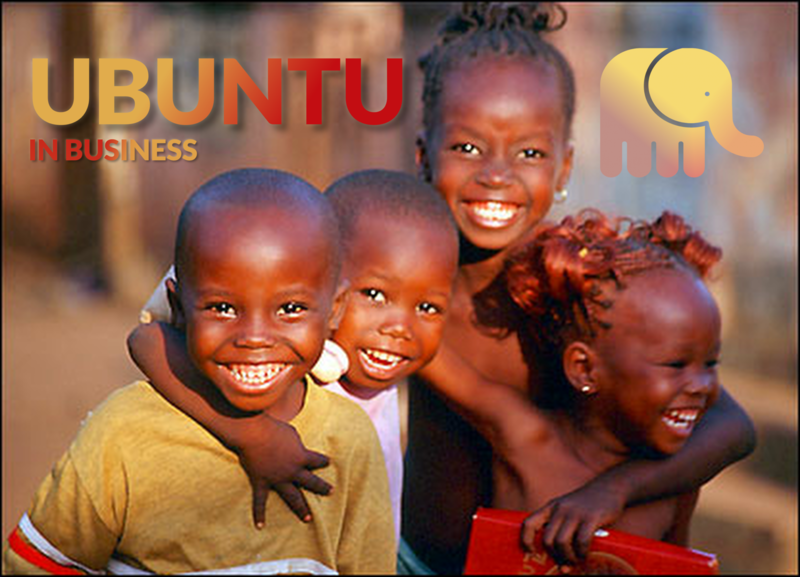 The word ‘Ubuntu‘ originates from one of the Bantu dialects of Africa, and is pronounced as uu-Boon-too. It is a traditional African philosophy that offers us an understanding of ourselves in relation with the world. According to Ubuntu, there exists a common bond between us all and it is through this bond, through our interaction with our fellow human beings, that we discover our own human qualities. ‘It is the essence of being human. It speaks of the fact that my humanity is caught up and is inextricably bound up in yours. I am human because I belong. It speaks about wholeness, it speaks about compassion. A person with Ubuntu is welcoming, hospitable, warm and generous, willing to share. Such people are open and available to others, willing to be vulnerable, affirming of others, do not feel threatened that others are able and good, for they have a proper self-assurance that comes from knowing that they belong in a greater whole. “An anthropologist studying the habits and customs of an African tribe found himself surrounded by children most days. So he decided to play a little game with them. He managed to get candy from the nearest town and put it all in a decorated basket. at the foot of a tree. Then he called the children and suggested they play the game. When the anthropologist said “now”, the children had to run to the tree and the first one to get there could have all the candy to him/herself.So the children all lined up waiting for the signal. When the anthropologist said “now”, all of the children took each other by the hand ran together towards the tree. They all arrived at the same time divided up the candy, sat down and began to happily munch away.The anthropologist went over to them and asked why they had all run together when any one of them could have had the candy all to themselves. We are the type of company that wants to share this ethos with our clients. From Start-Ups and new beginnings to our Blue Chips. Our ethos shall always remain a grateful one and one that includes examples from this story. It was a story I was reminded of many a time growing up and playing on the kraals (farms) by the Makulus (Elders) and one I live by personally and shape our business around. We are what we are because of who we all are. Thanks continues to come from us to all those who look to support not just us, but each other. Thank you for taking the time to read. Blaize Bancroft CEO Gomie Design.